Christmas, this year, is for building stuff. Today’s work orbits around three projects: building my new dining room table, finishing off a bike I am building for someone, and building some stuff in CSS. As we move into next year with our Praxis roles a bit more solidified, it looks as if I will be focusing on design. Which seems kind of fun and kind of scary and kind of like building a table or a bike. Or at least I go about all three roughly the same way: if stuff doesn’t fit, hit with a hammer until it does and always remember: A Sawzall solves all. In the case of CSS that means forking stuff over to Wayne. Anyhow, all three balance out The Other Thing (Orals on 30 Jan…gulp) and allow me to make small, tangible advances on something (anything, really) while slogging away at the mountain of textual criticism reading. In the course of all three projects, similar patterns, or at least aesthetics, emerge. I dislike clutter. 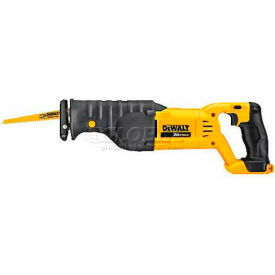 If given the choice to excise or supplement I always opt for the Sawzall. I love the clean lines of a perfectly assembled bike, a well-balanced tabletop, and a clutter free website. Thankfully the ghosts of Praxis past set a pretty good aesthetic precedent in the latest iteration of Prism. Hopefully, come the new year, I’ll have a new table, a happy relative on a bicycle, and some flashing dinosaurs in CSS. Cite this post: Zachary Stone. “Lessons for Christmas: A Sawzall Solves All”. Published December 24, 2013. https://scholarslab.lib.virginia.edu/blog/lessons-for-christmas-a-sawzall-solves-all/. Accessed on .